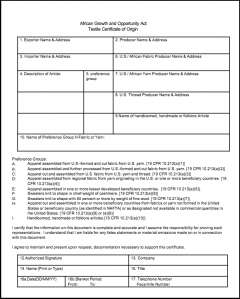 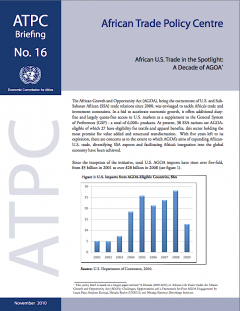 The AGOA.info archives contain a wide and growing selection of documents available for download. 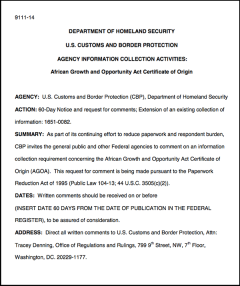 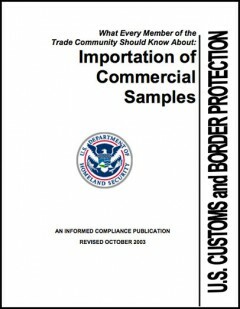 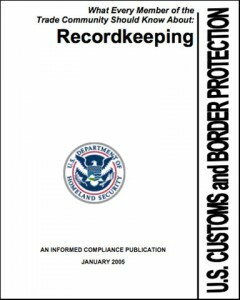 These are categorised under the ‘Legal’ (AGOA legislation, Bills, certificates, proclamations), ‘Documents and Reports’ (mainly annual US trade reports) , ‘Research Documents’ (academic and other) and ‘General Documents’ (all others downloads). 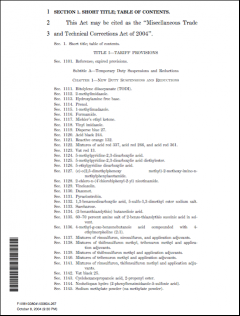 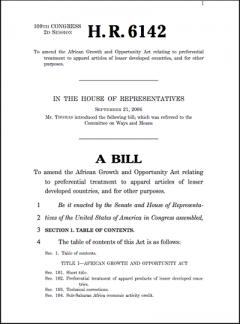 Proposed legislation amending the AGOA, including an extension of the third-country fabric provision, the associated quota limits, the GSP, as submitted by Rep. Bill Thomas on 21-09-2006. 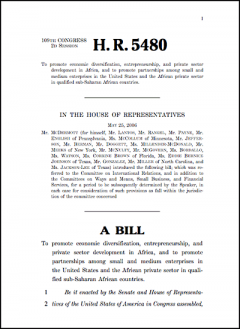 Proposed legislation amending the AGOA, including an extension of the third-country fabric provision, the associated quota limits, and the status of Mauritius. 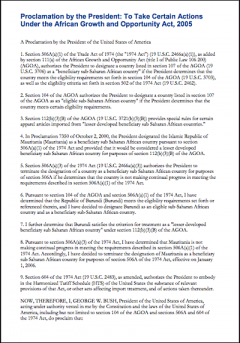 Presidential Proclamation dated 22 December 2005 indicating the removal of Mauritiana from the list of AGOA beneficiaries and addition of Burundi with effect of 01-01-2006. 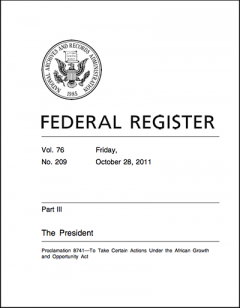 Legal text of HR-1047, which proposes certain ammendments to US legislation, including the re-designation of Mauritius as a LDC country. 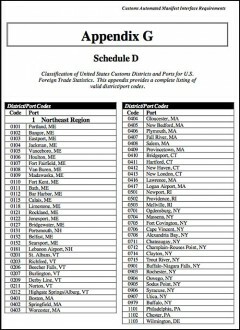 This alphabetic guide provides a useful overview on a product-by-product basis to the US Harmonised tariff System (HTS) nomenclature. 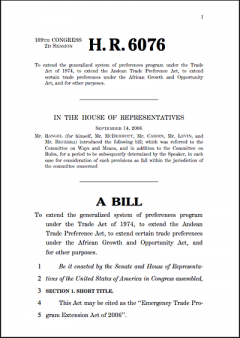 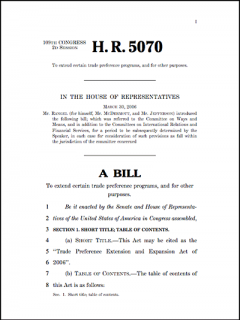 The AGOA Acceleration Act, HR 4103, is closely modelled after the proposed "AGOA III Act" but is specifically designed to smoothly pass the Congress soon after April 2004. 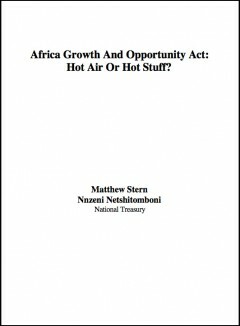 AGOA: Hot air of hot stuff? 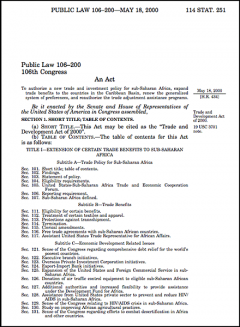 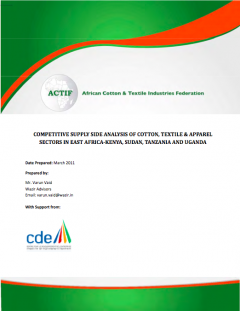 The legal text of AGOA, to be cited as the "Trade and Development Act of 2000". 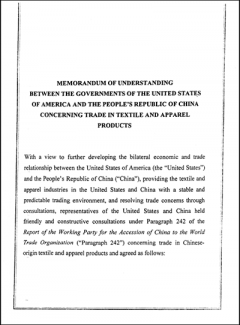 Also known as "Public Law 106-200" - May 18, 2000. 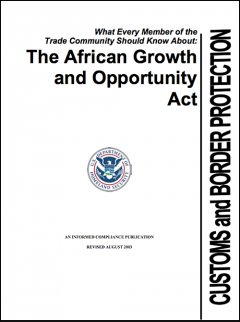 The full legal text of the recent amendments to AGOA, known as 'AGOA II'.